The song Boy George - Everything I Own is professional recreation. It is not by the original artist. Black money Boy George Your browser does not support the audio tag. Don't Cry Boy George Your browser does not support the audio tag. 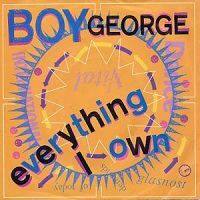 Everything I Own Boy George Your browser does not support the audio tag. That's the way Boy George Your browser does not support the audio tag.